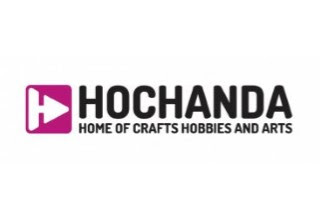 Craft shopping channel Hochanda has confirmed it has now left Freeview channel 39 ahead of its relaunch on channel 85. The channel had been renting Freeview capacity from ITV, using a slot on ITV-operated The Store. It had recently secured its own capacity on Freeview, with the channel being allocated channel 85, which will enable to channel to relaunch on Freeview on a channel bearing its own name. It had originally announced it would start regular transmissions on channel 85 at the beginning of November 2016, but faced with the loss of its slot on channel 39, it was able to bring the launch on 85 forward to 1st October. The loss of Hochanda on channel 39 frees up bandwidth for Blaze, a new entertainment channel from A+E Networks UK, to launch at 3pm today on channel 83. It was known that the launch of Blaze would force another channel to move or close, due to capacity constraints, but no advance information was provided, something that some social media users have complained to Hochanda about, who also noted that channel 85's on-screen message had not been updated with the revised relaunch date this morning* nor had the EPG been changed to reflect the changes. The loss of Hochanda on Freeview will last just ten days, with affected viewers able to stream the channel from the Hochanda website in the meantime. *The revised relaunch date has since been updated on channel 85's on-screen message, but is still absent from the EPG synopsis, which still refers back to channel 39.